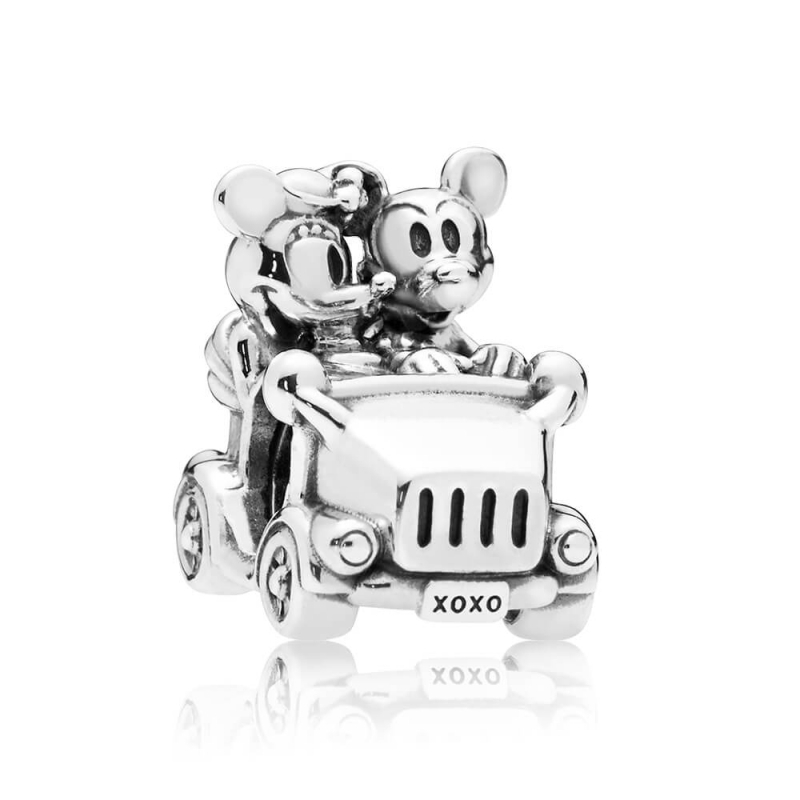 PANDORA Disney - Mickey and Minnie Vintage Car Charm. This intricate and beautifully detailed charm perfectly portrays Mickey and Minnie at the wheel of a vintage car, loved up and ready for their next adventure together. Made from sterling silver, it’s the ideal charm for every fan of the famous duo.